After Pakatan Harapan (PH) won GE-14 in May 9, Barisan Nasioanl (BN) was defeated for the first time after governing Malaysia for 61 years. So, what will be BN next move? One of things that quickly made headlines was on who is going to lead Umno. 1st of July came, Umno leadership election happened and Zahid Hamidi was officially elected as the 8th Umno president. 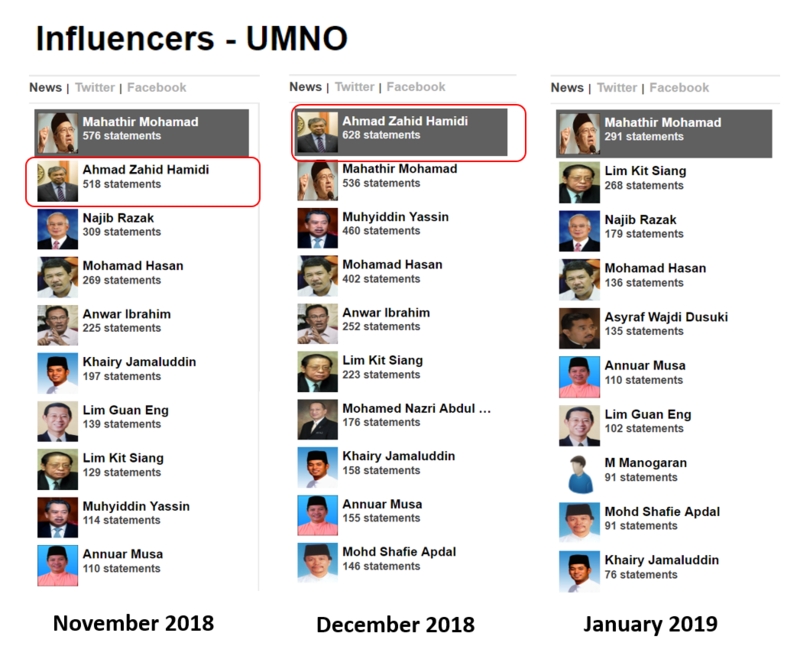 If we look at the influencer’s chart, Zahid generally has an active presence in Umno after he was appointed as the party president. Despite that, he was often criticised for failing to carry out his duties as the president of the party. In fact, Zahid was further pressured when a major exodus hit Sabah on December 2018, which ultimately led the president to hand over his duties to his deputy, Mohamad Hasan on December 19 last year. 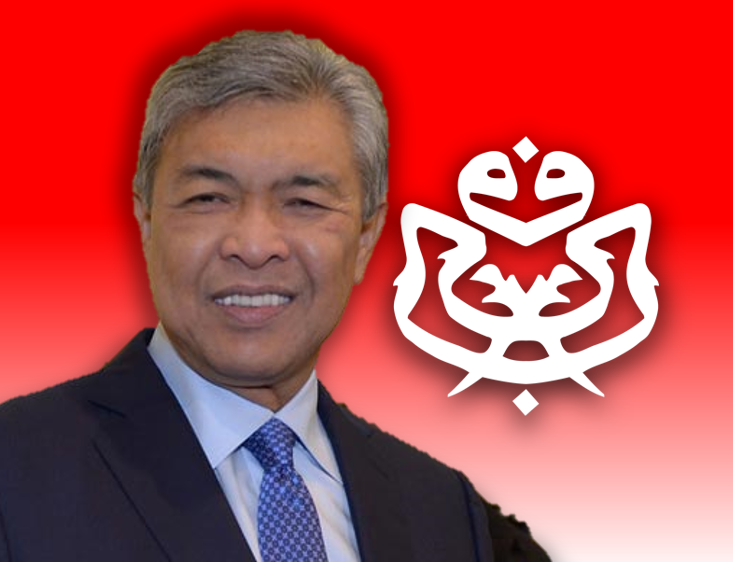 Almost 2 months in, Zahid is set to make a ‘comeback’ into the political scene. However, the majority of the people are not excited about the news. 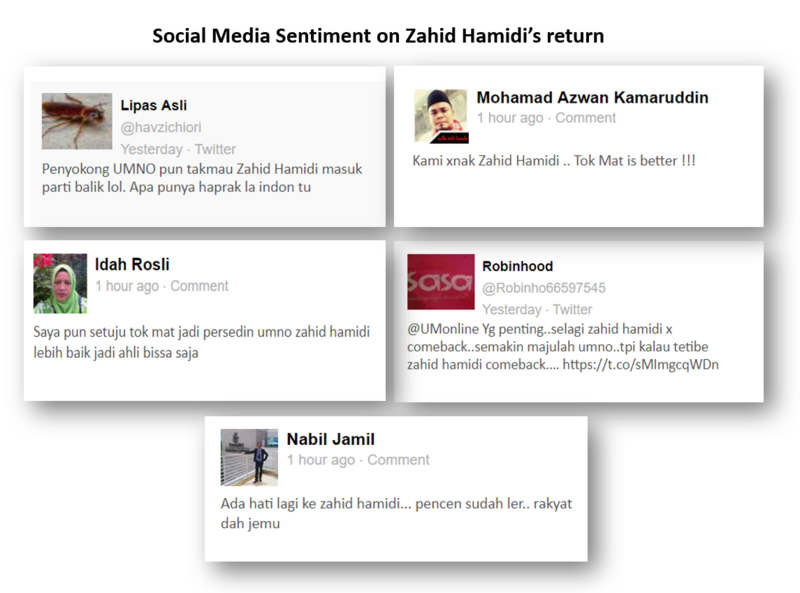 Zahid had quoted his exit as the President of Umno as ‘temporary’, however looking at the current social media sentiment, majority of the people seem to reject his return. With the public negative sentiment on Zahid, will he be able to return as the president of Umno? Previous Bersatu to enter Sabah? Next PH leaders’ academic qualification hurt chances of winning in Semenyih?